Another Monday has arrived. How does it even happen so fast? We at the office are already counting the days to go on holidays, even though we still have some weeks of work ahead. In the meantime, let me update you with some of our latest happenings, travels and news of upcoming events in Vienna. Last weekend was a great one for me. 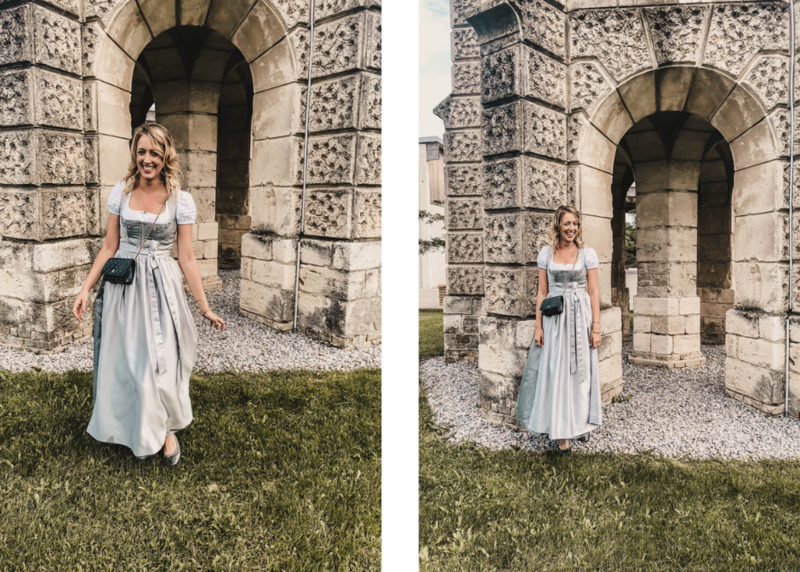 I got to celebrate Antonia’s and Matthias’s wedding in Albrechtsfeld, Burgenland. The wedding consisted of an incredible two-day ceremony that only kept on getting better by minutes. During the day I wore a wonderful and stunningly beautiful Dirndl by Hanna Trachten, and in the evening a dressy mit Handkuss Jumpsuit combined with a turban by Blanka and jewellery by Pomellato. My highlights of the wedding were the ceremony itself, the delicious food at dinner and the “Kirtag” the next day including clay pigeon shooting. At the same time, Lilly travelled to Paris to celebrate another important ceremony… the baptism of her goddaughter. As she had lived in Paris for a while some years ago, she felt slightly nervous about going back to the city of love. However, she managed it perfectly and spoke with all the locals and friends as she used to before. 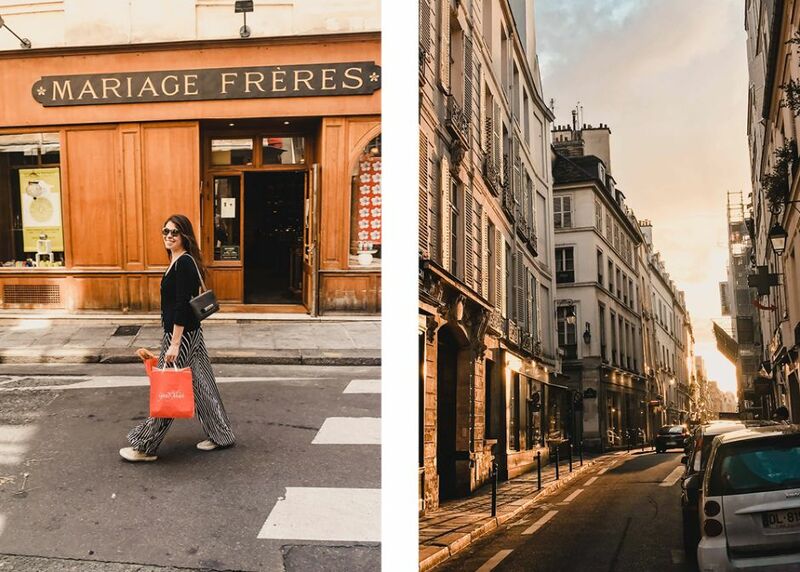 But most importantly, she also managed to get her freshly made Baguette every morning and as you might already know…when in Paris, the morning baguette is the whole point of life. Last Monday we also got the celebrate Emilians 5th birthday. What a day that was. 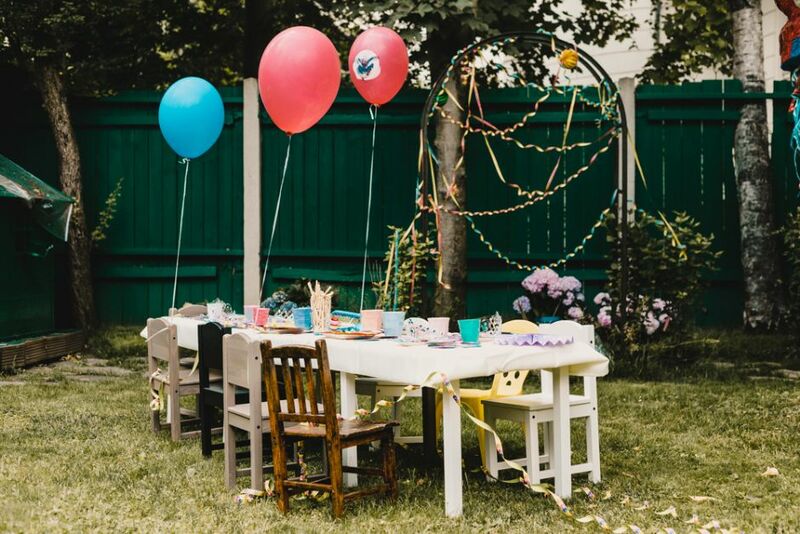 Children parties look much simpler than they are. Of course, there is a cake to plan apart from this; the invitations, reaching all the parents, asking them to save the date and any other detail to make your kid happy on their day. Birthdays are a huge part of a child’s life. These are the memories they will look back into in more than 10 years’ time and say “Remember when I celebrated the Spiderman-Princesses birthday in the garden?” and only the thought of this makes it all worth it. So, as you might have seen on my Instagram account, Emilian demanded to be Spiderman for the day. Naturally, this left me with the Spiderman-Mom role and here are some throwbacks of the party featuring a whole army of little Spidermen and Princesses last Monday. 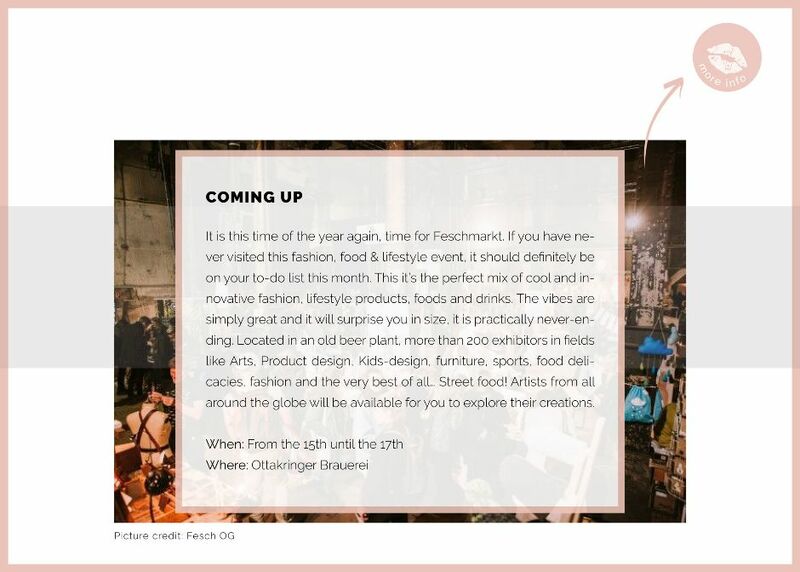 Btw, not to be missed – If you happen to be a handprinted style lover, here’s exactly where you should be heading this week – on Wednesday the 13th to be more precise! From 16:00 pm onwards, the ladies from TT&T, who specialize in Block Printing will be waiting for you at their 2-day Pop-Up store in the busy street Zollergasse 9-11, 1070 Vienna. Opening drinks from 16:00 pm on Wednesday…just saying! Latest Online Discovery: Last but not least, I discovered a very interesting part of Forbes Magazine that I had never encountered myself with. So, if you are a young entrepreneur you might want to have a look at these inspiring stories of successful business owners on how a normal day looks like in their lives. A real push of inspiration to keep going and growing. Und schon wieder sind zwei Wochen vorbei. Für mich bleiben zwei grosse Events: die Hochzeit von Antonia und Matthias in Albrechtsfeld (Burgenland) und Emilians Geburtstagsparty. Wir erlebten ein tolles Hochzeitsfest. Ich trug ein wunderschönes Dirndl von Hanna Trachten, für den Abend kombinierte ich einen schwarzen mit Handkuss Jumpsuit mit einem Turban von Blanka und Schmuck von Pomellato, Ole Lyngaard & Co.
Während ich die Hochzeit genoss, verbrachte Lilly Zeit in Paris. Für sie ein Stück Heimat. Denn Lilly hat einige Zeit in Paris gewohnt. Nun stand die Taufe ihrer Patentochter an. Lilly nutzte die Gelegenheit, traf viele Freunde , frischte ihr Fanzösisch auf und hatte jeden Morgen ein frisches Baguette … Yummy! Vergangenen Montag feierten wir dann Emilians 5. Geburtstag. Da war was los! Emilian war Spiderman. Mit ihm unterwegs waren andere Superhelden und natürlich die hübschesten Prinzessinnen. Es wurden Spiele gespielt, gegrillt, gesungen und Geschenke ausgepackt. Eine grossartige Gartenparty. Doch dazu mehr in einem separaten Blog Post! Nun aber zu den bevorstehenden Events: Vom 15. bis 17. Juni findet in der Ottakringer Brauerei der “Feschmarkt” statt. Mehr als 200 Aussteller (!!!) machen mit. Nicht zu verpassen! Ja, und dann hat die Blumenwiese am Donaukanal aufgemacht. 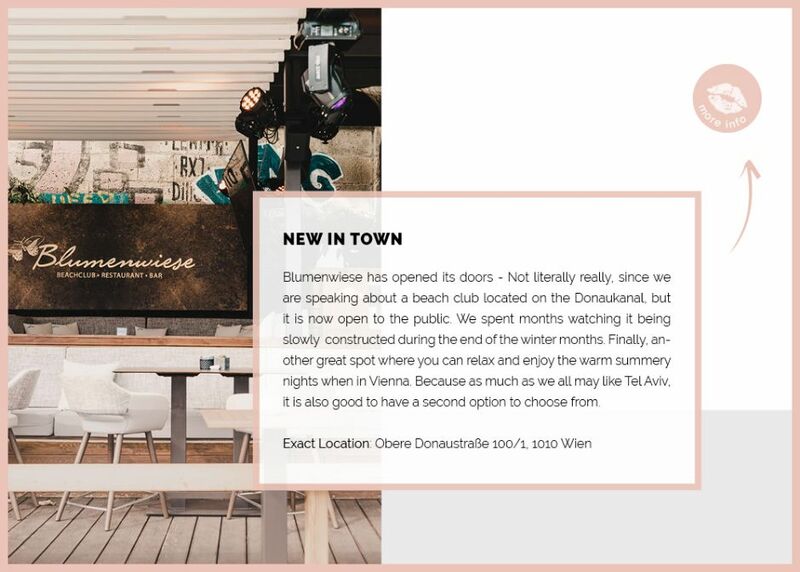 Eine gute Abwechslung zum Tel Aviv Beach, um laue Sommerabende genussvoll zu verbringen. Wer war schon dort? Zum Schluss ein Hinweis: Im Forbes Magazin fand ich einen überaus spannenden Beitrag über junge erfolgreiche Unternehmer. Darin erzählen sie unter anderem, wie ihre Tage aussehen und wie sie sie gestalten. Für jeden eine Quelle der Inspiration!